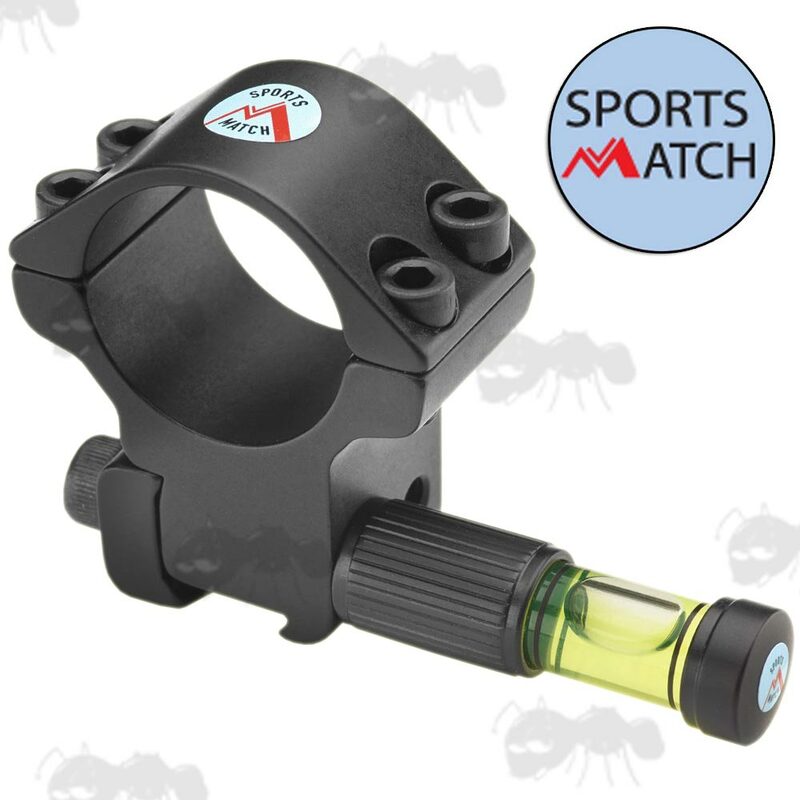 Fits all 1" / 25mm body tube diameter scope mounts manufactured by Sportsmatch. Approx weight ~ 14 grams. 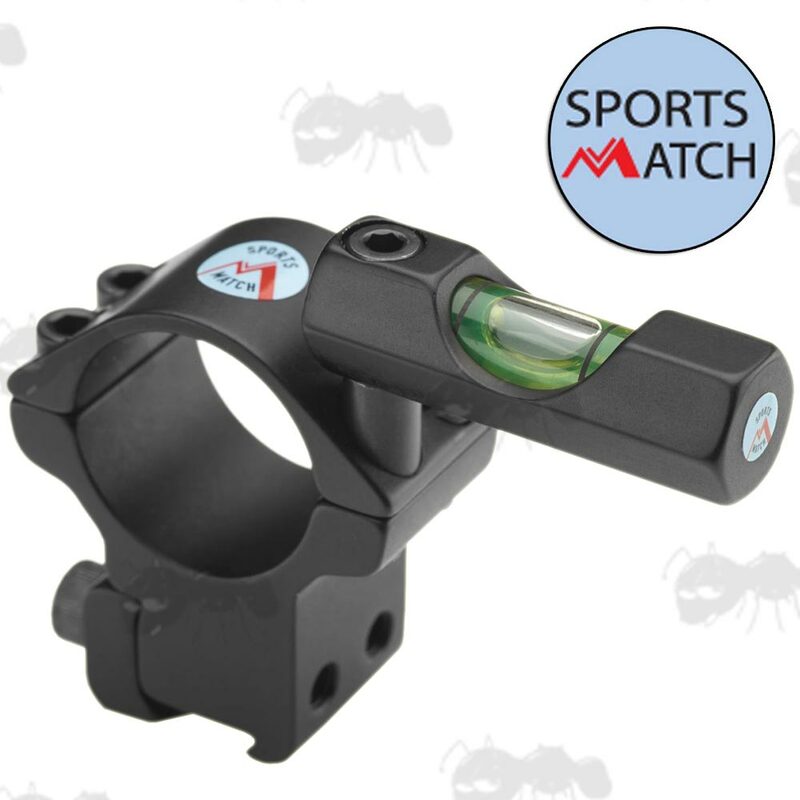 Fits all 30mm body tube diameter mounts manufactured by Sportsmatch. Approx weight ~ 16 grams. 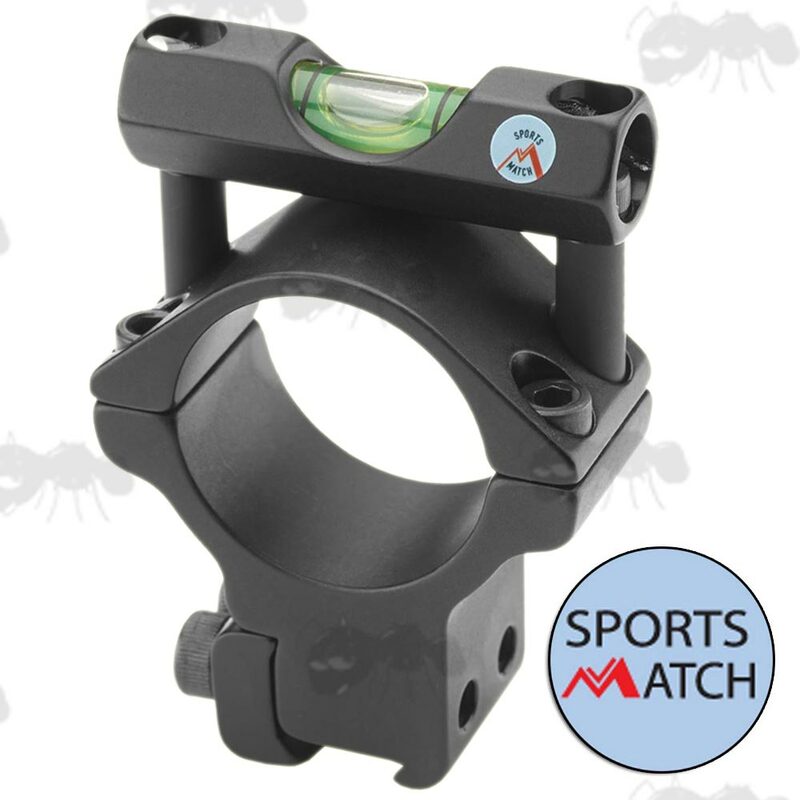 Fits all 1" and 30mm body tube diameter scope mounts manufactured by Sportsmatch. The level can swing clockwise or anticlockwise, in and out of position. 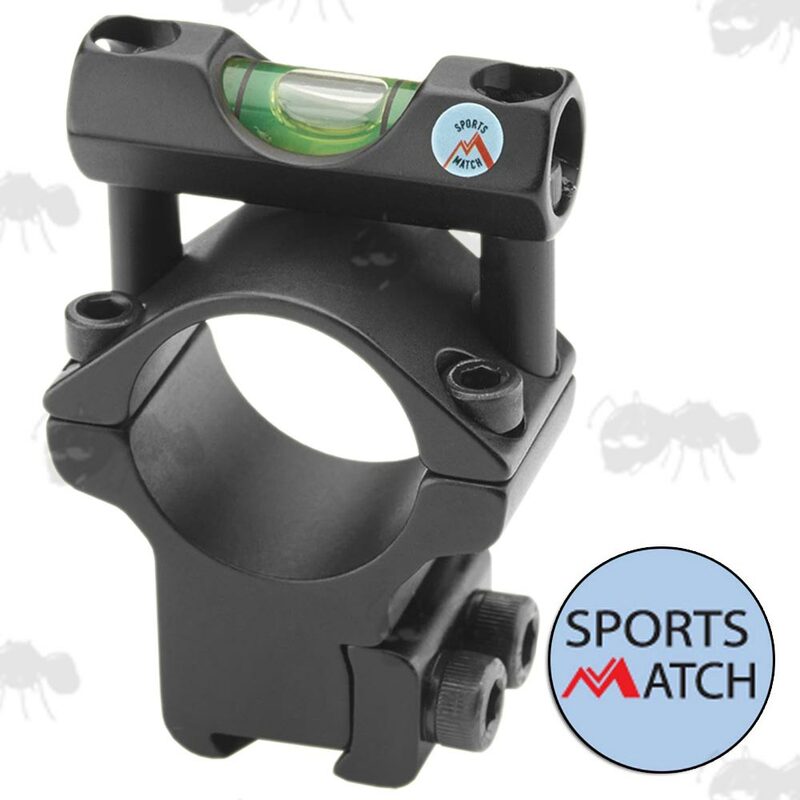 Fits all Sportsmatch mounts with M5 (larger) dovetail clamp screws. Visible without moving eye away from rifle scope. Approx weight ~ 8 grams. 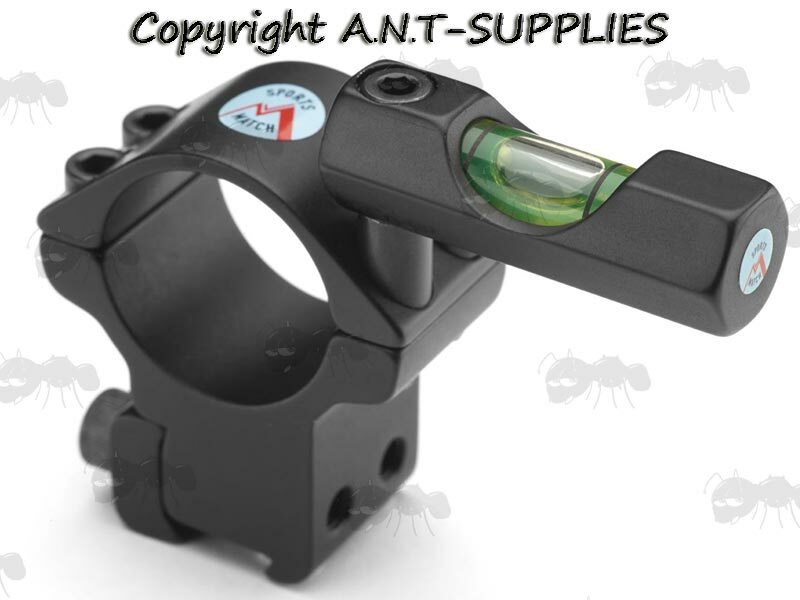 Eliminates canting of the rifle for enhanced long range accuracy.